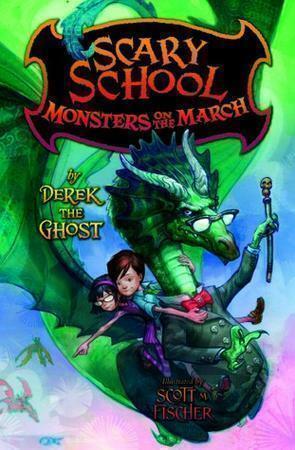 In the June 2011, “Scary School,” by Derek the Ghost aka Derek Taylor Kent, was published. The tale is about a school where just surviving until lunch is considered a good day, and it’s narrated by a recently deceased 11-year-old, who goes by the name of Derek the Ghost. The book was a hit, and now the second book in the series, “Monsters on the March,” is available in bookstores. 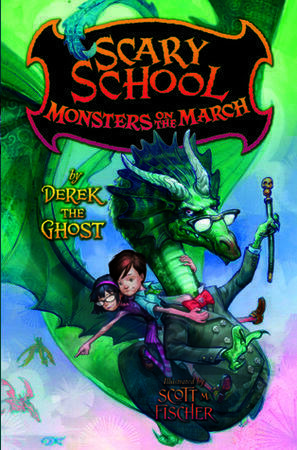 As Derek builds on the world of Scary School, he gains a lot of ideas from current trends in movies and books that he can poke fun at. He also draws inspiration from classics. In Book 2, he explains, there’s a two-chapter sequence that delves into the world of Stephen King books. As long as he puts the preparation and work in beforehand, writing remains a fun and ‘easy’ task, for Derek. But he does say finding the time to do it while promoting the other books with school visits and book tours is becoming harder. 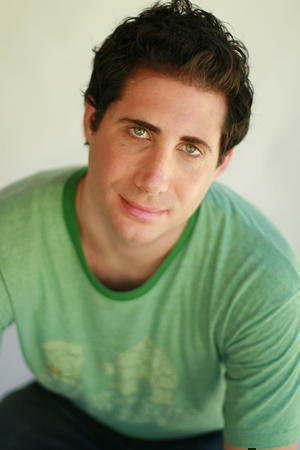 Derek can be booked for school visits via the “Book Tour” section of www.ScarySchool.com. Kids also seem to like the website because they can play a video game, meet the student and faculty, and unlock secret chapters, Derek said. Read a complete transcript of Derek’s interview with Cracking the Cover. © 2012 – 2017, Cracking the Cover. All rights reserved.